Welcome to OC DIESEL, the Nation's Diesel Performance Parts Experts, and industry leader in providing superior quality TS Performance Products at the best prices available online. OC DIESEL offers a wide selection of TS Performance Products for diesel truck owners who continually demand high performance, horsepower, and fuel economy enhancements such as their MVP Tuner, Power Play MP-8 with MP-D Monitor, Single Position Chip, 6 Position Chip, ReSpeed Module, Shift Master, Agri-Power Module, Torque Converter, and Programmer products made exclusively for the 6.7L Dodge Cummins Diesel, 5.9L Dodge Cummins Diesel, 6.6L GM Duramax Diesel, 6.7L Ford Powerstroke Diesel, 6.4L Ford Powerstroke Diesel, 6.0L Ford Powerstroke Diesel, and 7.3L Ford Powerstroke Diesel as well as the GM C4500/C5500 Series, Sterling 4500/5500, and F450/550/650/750 Series Trucks, and Diesel Pusher Motorhome, and Toterhomes. Many diesel owners own a diesel because they have a specific need, purpose, or reason for using their diesel truck and those reasons may vary from anyone of more of the following: recreation use, heavy towing, daily driving, drag racing, sled pulling, mud bogging, or all the above! TS Performance Products provide critical ingredients that propel an increase in diesel power and reliable performance allowing for a stronger running, more efficient, and improved operating engine. If you have questions we're ready to take your call 8am to 5pm PST at (888) OC DIESEL or (714) 848-2170. See what you like? Experience SECURE shopping at OCDIESEL.com. BUY online NOW and SAVE! OC DIESEL appreciates your visit. Welcome to TS Diesel Performance! 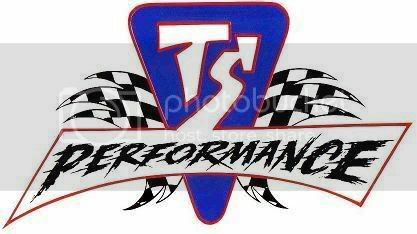 Need Professional TS Performance Products Installation? OC DIESEL offers Professional TS Performance Products Installation, Service, Diagnostic & Repair. The OC DIESEL online network team works diligently everyday to offer the latest up-to-date Diesel Performance Products at the best prices in America, including the TS Performance product line. OC DIESEL utilizes all means possible to relay the most current information for every product posted online such as the MVP Tuner - Dodge Cummins from leading Diesel Performance Industry giant, TS Performance. According to our most recent poll, the most sought after truck performance brands include products from ACCESS Covers, AEM, aFe Power, Airaid, AirDog PureFlow Technologies, AirLift Company, AMP Research, Anderson Manufacturing, ARP, ASM, ATS Diesel, Auto Meter, Banks Power, BD Diesel, BedRug, Bilstein, Bully Dog, Calvert Racing, CARR, CFM Plus, Cognito Motorsports, Corsa, Daystar, Dynomite Diesel Performance, Derale, Diablosport, Diamond Eye, Dr. Performance, Edge Products, FASS, Firestone, Flash Lube, Flex-a-Lite, Fluidampr, FOX, Fusion Bumbers, Garrett, GoodHood, H&S Performance, Hellwig Products, High Tech Turbo, Husky Liners, HyperTech, Industrial Injection, ISSPRO, K&N, Kelderman, King Shocks, Kleinn Automotive Air Horns, LightForce, Mag-Hytec, MagnaFlow, MBRP, Motive Gear, Nu Image, Odyssey Battery, PacBrake, PDI, PPE, Precision Grilles, Pro Comp, ProParts, Quadzilla, RBP, RCD Suspension, Recon, RIZE Industires, Royal Purple, S&B Filters, SCT, Silverline, Smarty, SmittyBilt, Snow Performance, South Bend Clutch, Spearco, Spek, SSBC, SunCoast, Superchips, SuperLift, Suspension MAXX, Titan Fuel Tanks, Torco Oil & Lubricants, Transfer Flow Fuel Tanks, TS Performance, Turbonetics, Vision X, and Volant. Performance products and accessories for all light duty pick-up trucks including the Power Wagon 6.7L Dodge Cummins Diesel, 5.9L Dodge Cummins Diesel, 6.6L GM Duramax Diesel, 6.7L Ford Powerstroke Diesel, 6.4L Ford Powerstroke Diesel, 6.0L Ford Powerstroke Diesel, and 7.3L Ford Powerstroke Diesel. Manufactures who offer performance upgrades and convenient industry accessories for RV, Diesel Pusher Motorhome, Medium Duty Truck, SEMI, and Diesel Passenger Cars can be easily searched and purchased through easy online search and access. OC DIESEL aims to please their customers. This is accomplished by offering the lowest prices on the planet AND providing the best customer support in the business. Now all 50 United States of American, Canada, and parts of Mexico, Italy, and Europe take part in being satisfied customers of OC DIESEL. We have found the most common products that are purchased from a diverse range of diesel owners are Air Intakes, Air Filters, TS Performance products, Fuel Lift Pumps, Transfer Pump, Performance Modules and Electronic Gauges. The most common purchased diesel performance gauges are Boost, Pyrometer, Transmission Temperature, Fuel Pressure, Differential Temperature, Oil Pressure, Coolant Temperature, and Rail Pressure Gauge. Other promising products customers rave about are High Performance Programmers, CARB Approved Aftermarket Parts, Chips, Diesel Exhausts, Tuners, Air Horns, Train Horns, Exhaust Brakes, Exhaust Manifolds, Fuel Injectors, Injection Pumps, Intercoolers, Turbochargers, Hitches, Towing Products, Differential Covers, Transmission Pans, Replacement Diesel Fuel Tanks, Clutch and Flex Plates.